A village of houses big and small, there’s something for everyone. You’ve come from far and wide to experience the stunning sites of Queenstown. Just moments away from the hustle and bustle is your home away from home. Pinewood Lodge is a village of houses big and small, set on three acres of Mother Nature’s best. What makes us truly special is our goal to make every visitor feel like a local. 7 minute walk from town! Locals from way back, we’ve got our fair share of tips, tricks and must-dos. Some captured and tagged by Instagrams all over, some you won’t be able to find in the travel guides. No offense to the travel guides. 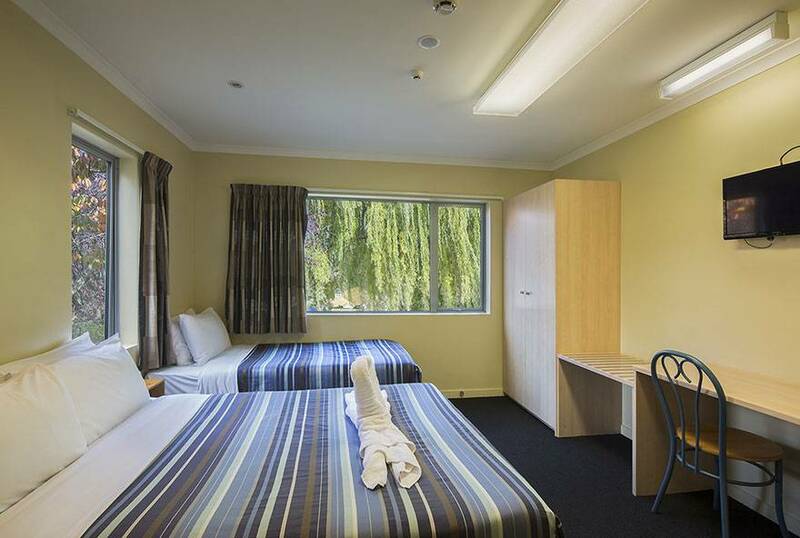 Pinewood Lodge is your ideal budget accommodation in Queenstown. We offer a variety of accommodation types to suit your needs -- from backpackers, to studios, houses and cabins. Our little village is nestled amongst peaceful alpine scenery and set on three acres of sprawling land. Explore Queenstown, NZ from the perfect jump off point. The picturesque town in the South Island is surrounded by majestic mountains with a turquoise glacial lake sitting right in the middle. Queenstown is known for its heart-pounding activities such as bungy jumping, jetboating, canyon swings and sky diving – earning it the nickname Adventure Capital of New Zealand. It’s not all about adrenaline junkies though, the town also caters to more relaxed and romantic holidays with beautiful vineyards, vibrant bars and wonderful restaurants to explore. Pinewood Lodge is the perfect base to enjoy all that Queenstown has to offer, situated only 7-minute walk away from town. Our central location gives you exclusive gateway to the famous Skyline Gondola where you can enjoy spectacular views and dining, go paragliding or mountain biking right from your doorstep. We aim to make every visitor feel like a Queenstown NZ local. Our friendly staff have all the best tips and tricks to get you off the tourist trail. Enjoy the great outdoors with one of many Great Walks of New Zealand or go on a ski vacation by riding the famous Remarkables ski field in winter. We can book discounted Queenstown NZ activities for you right here at Pinewood Lodge. Choose from activities such as Milford Sound scenic cruise or flight, sky diving, scenic helicopter tours, whitewater rafting, mountain biking and more. Our tailored services are designed to promote simplicity during the booking process while paying close attention to detail. Pinewood Lodge is more than just a budget accommodation. Queenstown guests should feel right at home in the adventure capital with our facilities. From shared barbecue areas to a spa pool, we’ve got everything you need to relax and enjoy after a long day on the slopes, the trails or just around town. Want to try the traditional Hangi? We’re the only place in Queenstown that can do it onsite. We also have a trampoline to entertain kids and Wifi to keep you connected to the rest of the world. 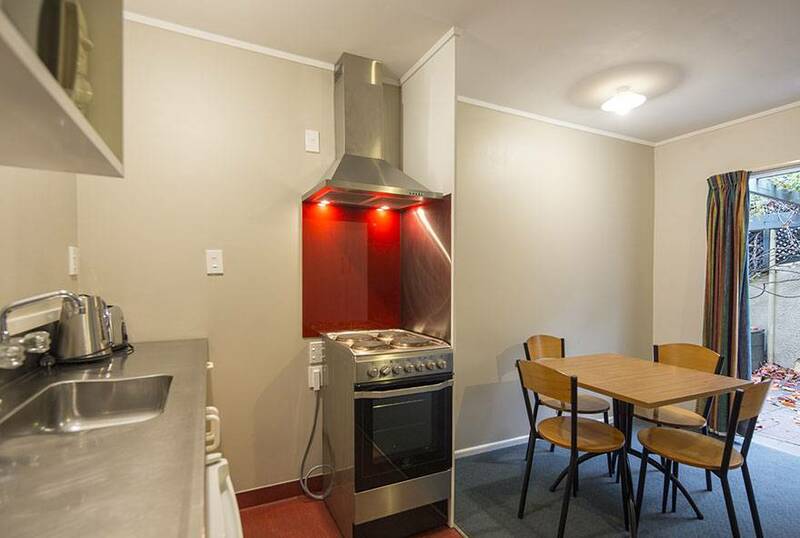 Of course, your Queenstown NZ stay wouldn’t be complete without all the accommodation features we offer. We have tea and coffee-making facilities, iron and ironing board, hair dryers, heating/air conditioning, bathrooms with showers, television, refrigerator, linen and towels. 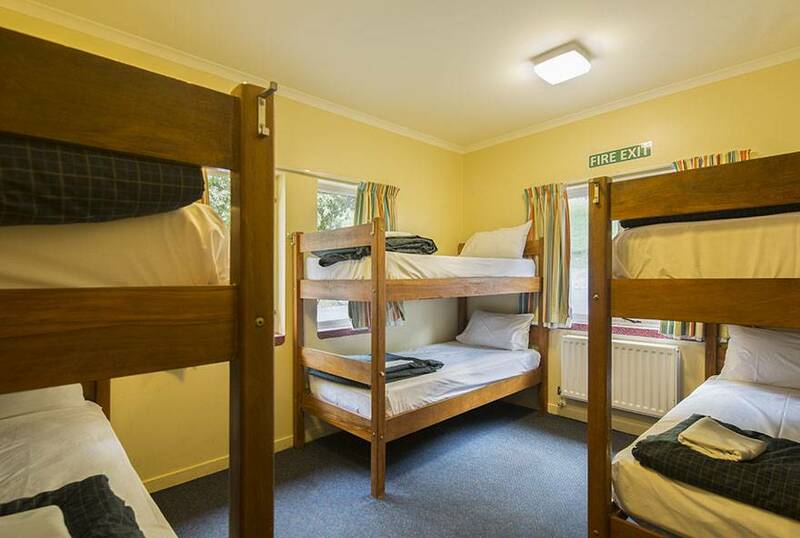 For our cosy dormitories, budget rooms and standard rooms, we have clean communal kitchens, bathrooms and living areas. For those who want to stay on budget, but prefer a little bit more privacy, we have self-contained studio units, one-bedroom houses and two-bedroom houses – all with fully equipped kitchen, bathroom and living areas. 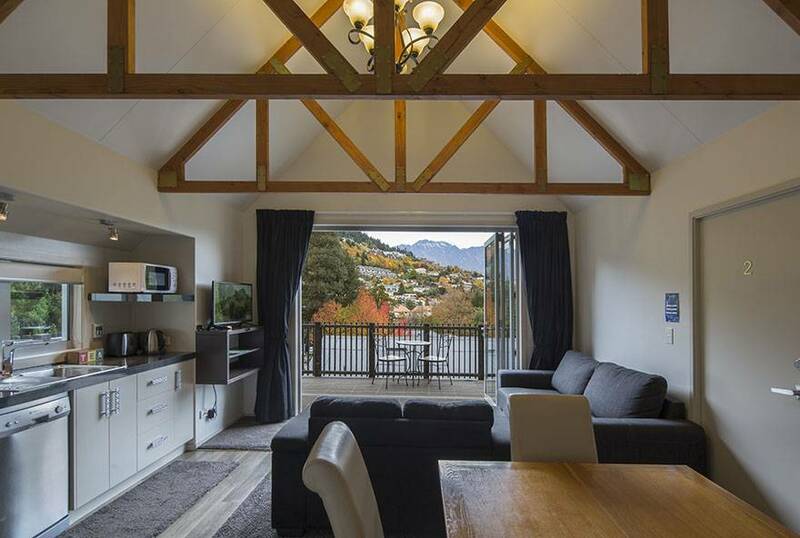 We hope you enjoy your Queenstown NZ mountain-side retreat with our comfortable, yet affordable accommodation surrounded by stunning vistas, grand pine trees and open grassy areas – it really can’t get better than this.